Concordia Realty has been honored to work with and support Sunshine Gospel Ministries with their time, talents and treasures. Sunshine Gospel Ministries is connecting families, creating opportunities for youth, and helping to restore and heal the Woodlawn neighborhood in Chicago. Sunshine Gospel Ministries’ mission is to seek the renewal of the city through ministries of discipleship, mercy, and justice. Sunshine Gospel Ministries seeks to empower youth and families to thrive and lead prosperous, healthy lives through connectedness, opportunity, and economic sustainability. Sunshine’s mission statement stems directly from the words of Jeremiah, “But seek the welfare of the city where I have sent you… , pray to the Lord on its behalf, for in its welfare you will find your welfare.” In the original language, the term welfare reads Shalom. The biblical concept of Shalom denotes a recognition that there is brokenness in the world and that things are in need of restoration. Jesus’ work on the cross becomes a calling to his followers to respond to this brokenness and injustice. Sunshine does this in faith knowing all things are being reconciled to the way are supposed to be. Through Sunshine’s Youth Outreach programs, they serve over 200 youth each year, from elementary to high school, helping them grow in Christ while developing the assets needed to flourish. Through Sunshine’s Strategic Life programs, they help teens and young adults acquire the skills needed to build positive relationships, avoid risky behaviors, and plan strategically for the future. Through Sunshine’s Familyhood program, they empower parents, adults, and families to cultivate safe, supportive environments where young people can thrive. Through Sunshine’s BridgeBuilders program, they foster healthy relationships and reciprocity between urban and suburban communities, thereby building a holistic framework for living together in Christ. SUNSHINE ENTERPRISES IS A SUCCESSFUL SPIN-OFF THAT TRAINS, COACHES AN CONNECTS ENTREPRENEURS THROUGHOUT CHICAGO. Sunshine Enterprises offers industry-specific business training for people looking to start businesses or entrepreneurial ventures. Success stories include Hamilton Frames & Furnishing, Iris Botanicals, TishBar, Kingsway Preparatory School, Betty’s Baked Goods Sunshine takes entrepreneurs through an intensive 12-week training program, called the Community Business Academy, teaching effective business management. Additionally, Sunshine continues to support entrepreneurs through their Business Acceleration Services program. Participants develop more than a business plan, but rather a model for creating value for clients. Sunshine then assists with establishing quality business relationships and connections. Sunshine has a vast network of marketplace professionals and successful business owners that function as industry experts able to provide advice as well as opportunity through leveraging social capital. Members of the Concordia Realty management team have been active as participants on Sunshine Enterprises real estate committee including all facets of real estate investment from total gut renovation projects, to multifamily investments within the Woodlawn community. Additionally, Concordia’s principals are major contributors for the Blight Reduction Program (“BRP”) grant application and administration to the Illinois Housing Development Authority (IHDA) in partnership with the Cook County Land Bank and CIC Chicago. Sunshine Gospel Ministries exists to seek renewal in the Woodlawn neighborhood of Chicago through ministries of discipleship, mercy, and justice. They accomplish this through building relationships, teaching and mentoring, developing life skills, entrepreneurship training and community investment. 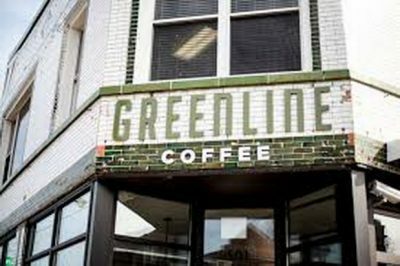 Stop by Greenline Coffee a unique social enterprise run by Sunshine.